(SASKATOON, SK) Each year, the Province of Saskatchewan designates October as Agriculture Month in the province. 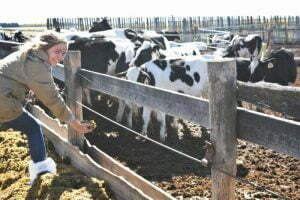 The objective is to raise awareness and appreciation of the food produced by Saskatchewan farmers and ranchers and to encourage consumers to think about and share their connection to food and agriculture. The celebration is led by Farm & Food Care Saskatchewan (FFC SK), a non-profit coalition of farm families, food businesses and individuals that works to build public trust in farming and food. This year's Ag Month activities kicked off today in Saskatoon with a celebration at the Sobeys Extra Stonebridge location in Saskatoon. Shoppers joined Saskatoon Chef Simon Reynolds for cooking demonstrations and tasty food samples of Saskatchewan-grown foods. Several Saskatchewan farmers were on hand to answer questions, share recipes and get involved in some fun activities around the store. 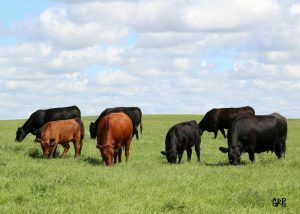 “Food production is such a big part of our economy and we all enjoy food on a daily basis, so Agriculture Month is an important time to celebrate the hardworking men and women who are so committed to growing safe and affordable food," said Clinton Monchuk, Executive Director of Farm & Food Care Saskatchewan. Social Media Contest: Saskatchewan residents can enter to win a $250 grocery gift card just by posting a picture, video or story relating to food with #OurFoodHasAStory. More details at OurFoodHasAStory.ca. Free screening of FOOD EVOLUTION documentary film provides a provocative perspective on food, GMOs and science. October 3 at Neatby-Timlin Theatre on University of Saskatchewan campus. See 'Events' at OurFoodHasAStory.ca. Meet Saskatchewan farmers and join SweetSugarBean Chef/Cookbook Author/Food Blogger Renee Kolman for some tasty food samples on Saturday October 20, 2018 at the Saskatoon Farmers Market. Don't miss the morning news on CTV and Global TV during October to see top chefs cooking with Saskatchewan-grown foods. Almost 70,000 copies of The Real Dirt on Farming publications will be distributed through The StarPhoenix and Leader-Post newspapers this month. Watch for yours or see it online at RealDirtOnFarming.ca. The agri-food sector provides jobs to almost 40,000 men and women in our province and accounts for 40% of our exports and generates over $15 billion in annual total sales. Agriculture Month helps recognize the impact these dedicated men and women make on our lives and our food. 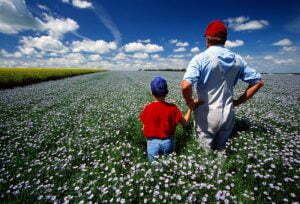 Everyone in Saskatchewan is encouraged to celebrate farming and food this month. Not sure how? Here are some ideas to get you started. 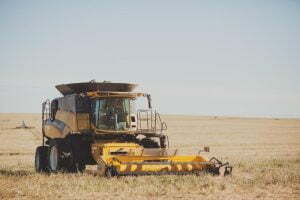 Farm & Food Care would like to recognize all farmers for their contribution to agriculture in our province, with special thanks to French's Food Company, Saskatchewan Flax Development Commission, Saskatchewan Pulse Growers and the Saskatchewan Cattlemen's Association for their support for this initiative.